1. Find an online seller of pre-made felt balls. 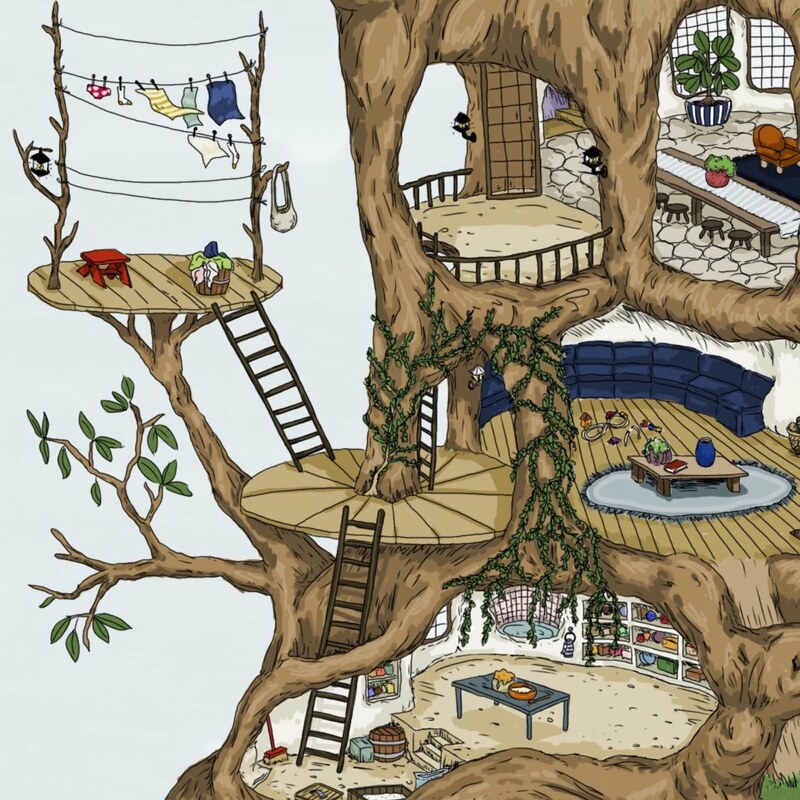 I chose to buy from Etsy because of the huge amount of choice. I wanted bigger sized balls, so I searched for 3cm, but you could go smaller if you preferred. For the record I shopped here. 2. Choose a colour palette. I loved the rainbow combination of my inspiration image so much that I didn't stray too far from that colour scheme, but you could do anything! A group of two or three colours would look lovely, as would different shades of just the one colour. If choosing colours makes you nervous, pinterest has a bunch of colour combination images that make it easier to find something you like. Just search "colour palette" or look at my colour board on my profile here for inspiration. 3. Order your felt balls. Most stores have the option of choosing colours, which means you need to write down the colours that you want in the notes to seller. Don't forget this!!! 25 balls was the perfect number for this mobile. 5 balls for each arm and 5 balls for the centre. 5. When all your items arrive, thread your felt balls. Assembly is pretty straight forward. Find some string, thread, or fishing twine (I used a thin white sewing thread that blended in with my walls so that the balls appear to be floating from a distance) and thread your balls on. You probably want to lay them out quickly in groups, just to make sure you know what colours are going where so you don't have a bunch of one colour next to each other (unless that's what you want!). 6. Remember to stitch each ball individually. To stop the balls all sliding to the bottom of the string, when you've threaded through the felt ball with a needle, sew a few more loops through the ball to form a little knot before threading on the next one. This will keep them where you want them. 7. Assemble. 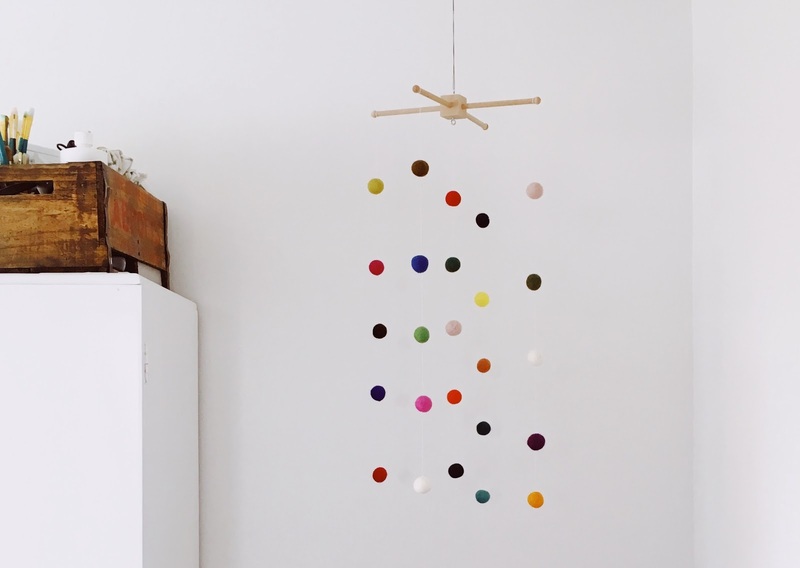 Attach your strings to the mobile hanger, add a string to the centre that will attach to your ceiling hook, and wallah! 8. Admire! You're done! 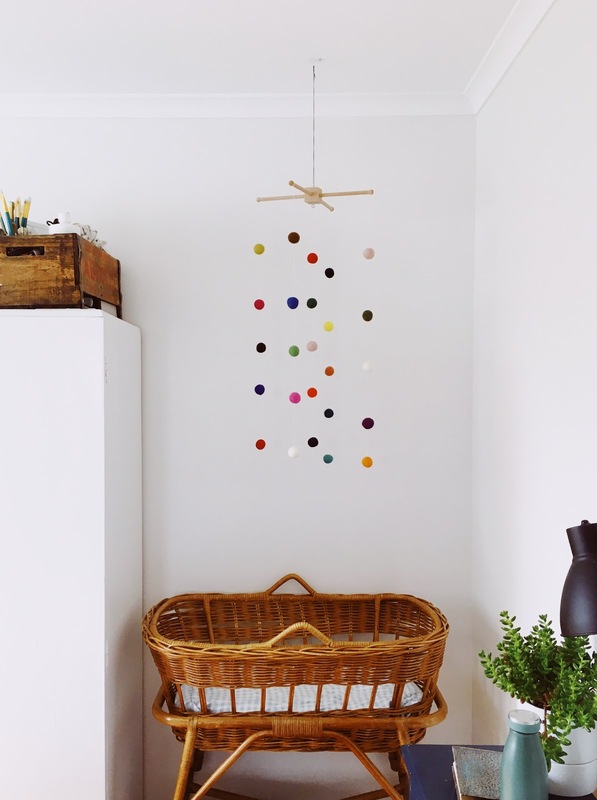 You now have a beautiful handmade baby mobile for a fraction of the price of buying new, and the satisfaction of having made something with your own two hands. Pat yourself on the back.